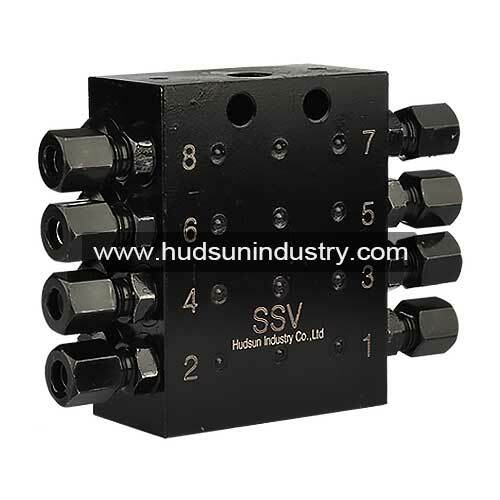 Progressive divider valve SSV8 is the progressive line metering devices with eight grease feeding outlets and all of the outlets is connected with check valves in case of grease or oil reverse flow. 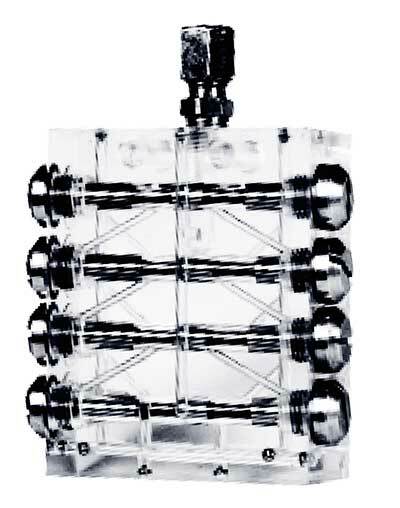 The usage of progressive divider valve is to dispense the grease with NGLI 2 class and mineral oils with class of 40 mm2/s to each lubricating requirement points, such as bearings, high speed gears, or some friction pieces in mechanical units. 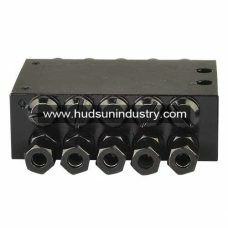 – used for dispensing grease or oil to different lubricating spots. 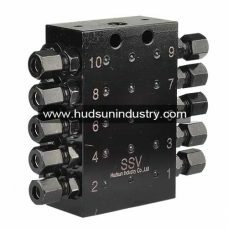 – from 6 to 14 feeding grease outlets or up to 22 outlets are available, please consult us for 16 outlets and more.